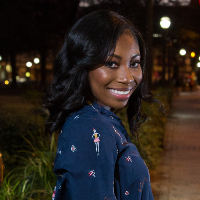 I'm Tameika, a Licensed Professional Counselor in Georgia with over 8 years f experience. I attended and graduated from North Carolina A & T State University in June 2008 with a Bachelor of Arts in Psychology, and from Argosy University – Atlanta, formerly The Georgia School of Professional Psychology in May 2010 with a Master of Arts in Clinical Psychology. I have worked in various treatment settings over the years such as Traditional Outpatient Treatment in a private practice setting, Inpatient Behavioral Health Facilities, Partial Hospitalization Programs, Intensive Outpatient Treatment, In Home and Community Counseling setting, Probation - Day Reporting Centers, and Managed Care. I have had the pleasure of working with children as young as 3 years old, up to geriatric patients/clients in these various settings. I'm currently in private practice in Atlanta, GA, owner of Bloom Voyage, LLC where I offer individual therapy, psycho-educational workshops, and a free support group to adults. I also offer a self-esteem and personal development workshop for teen girls in 8th-12th grade. I help my clients work through their difficulties with self-esteem, self-love, depression, anxiety, stress, relationship issues and difficult life transitions. I believe that everyone has the potential to bloom, especially with help. I strive to empower, educate, and assist all of my clients with warmth and professionalism, and aim to be a catalyst for understanding, growth, and change. Whether you are seeking help due to depression, anxiety, poor self-esteem, or difficult life transitions, my goal is to assist you in learning effective tools to manage difficult situations, develop a deeper understand of yourself; provide relief of issues, and promote self growth, leading to a more fulfilled life. My therapeutic approach is primarily Cognitive Behavioral Therapy. However, additional therapeutic approaches may be integrated such as Interpersonal Therapy and Solution Focused Therapy based on your individual needs. Cognitive behavioral therapy teaches you to recognize and change maladaptive thoughts and behaviors. This will assist you in seeing the connection between your thoughts, your feelings, and actions. Interpersonal therapy can be used to assist you in identifying and understanding problems in your relationships, changing problematic patterns and developing healthier ones. Solution- focused therapy is a strength based and goal directed therapy approach, assisting you in focusing on the solutions to problems. I am very passionate about self-care, personal growth and empowerment, and promoting a good mental health regimen. Taking the first step of reaching out for help can be very difficult but also courageous. I'm ready to help you with the rest when you are! Tameika Cheek is an excellent listener and responds promptly to messages. She also offers terrific advice and has been very helpful to me even in the short time we've been working together, so far. Tameika is great, it is so easy to talk to her and I never feel judged. Tameika is great. She strike a great balance between listening, giving advice, and walking you through your current thought processes and how they align with their goals. She offers a very real, down-to-earth perspective that specifically helps with the relationship issues I talk about her with. I both get a lot of insight and clarity in my calls with Tameika, and I genuinely enjoy speaking with her. I would recommend her to anyone! I have had to do counseling one time before. Tameika is by far the best. She makes it feel like I am talking to a really good friend who seriously cares. She listens and will never judge. She doesn't tell you how to live or what to do, she just points out things that you may not have seen to help you make the best informed decision you can and she supports you. She is awesome. Would you like to write a review for Tameika Cheek? We'd appreciate if you can spend a couple of minutes to write a short review for Tameika Cheek (LPC). This review would be shared with Tameika Cheek. It may also be posted in our website or in Tameika Cheek's profile but it would be anonymous and your identity would be kept completely confidential.